Happy Saturday! 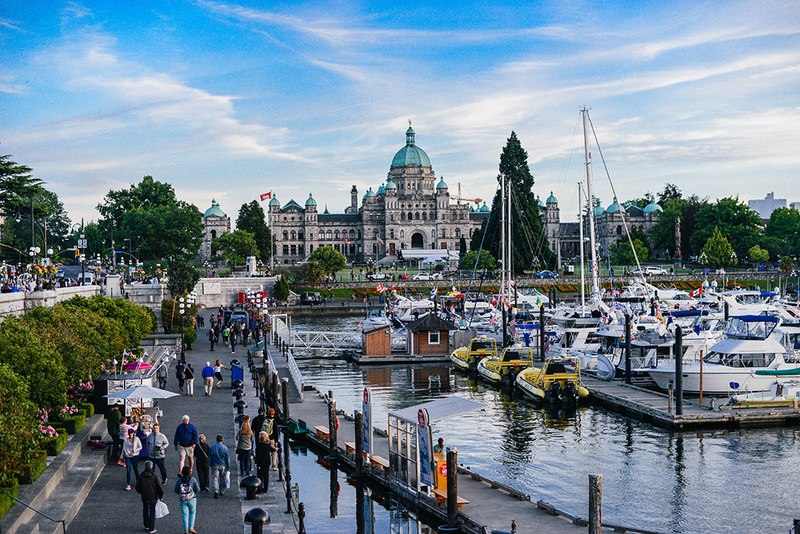 As I mentioned in this post, we only had a few hours to discover Victoria. Needless to say we made the most of it! We hurried and scurried around to spot after spot until we had to be back on the ship. 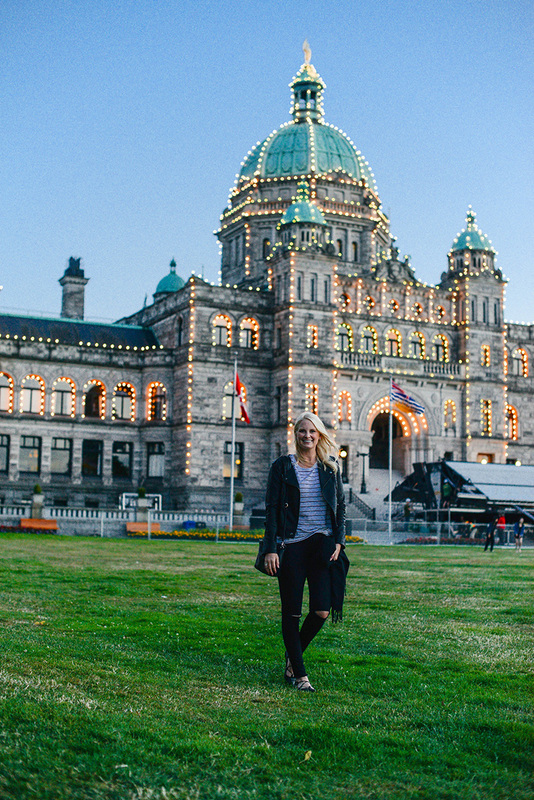 I wish we had more time here, because I think I’d really, really love Victoria. It’s a beautiful town! Since we didn’t stay here, I obviously can’t post a full city guide – but here’s my best shot based on what we did and tips from two of our taxi drivers! Fairmont Empress – this chateau-style hotel is a popular, luxurious choice right across from Port Angeles and catty corner from the British Columbia Legislature. It’s a great choice if you want to be right in the middle of everything and walk everywhere! 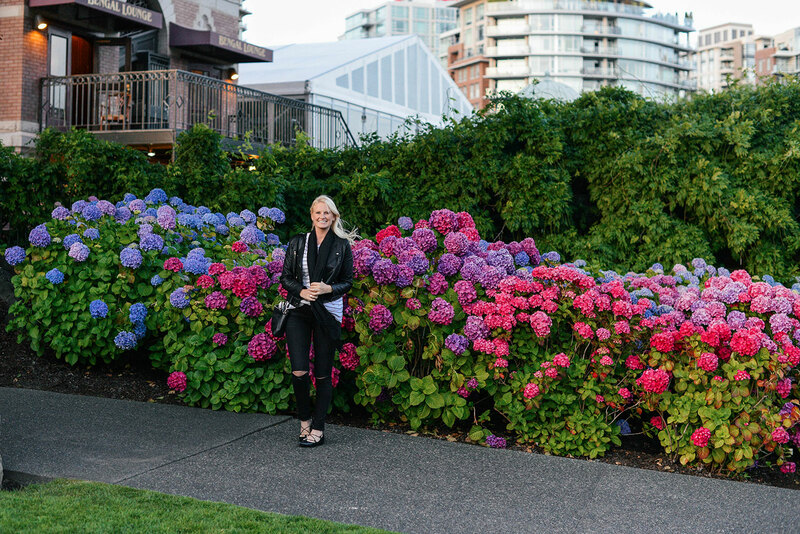 The photos of me by the hydrangeas are outside of the hotel – it’s very well-manicured! Also, the photo of me with the building lit up behind me features the Legislature building. 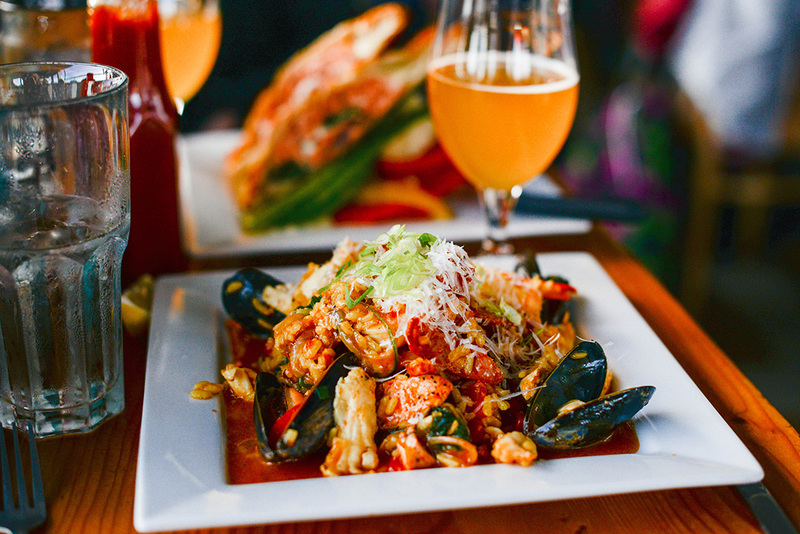 There are a number of great waterfront restaurants just a three minute walk from the front steps of the hotel too! PS – it was named to the Canadian National Register of Historic Places in 1981! The Parkside Hotel & Spa – another ideal option in the center of the city, this spot is just a couple blocks behind the Fairmont. 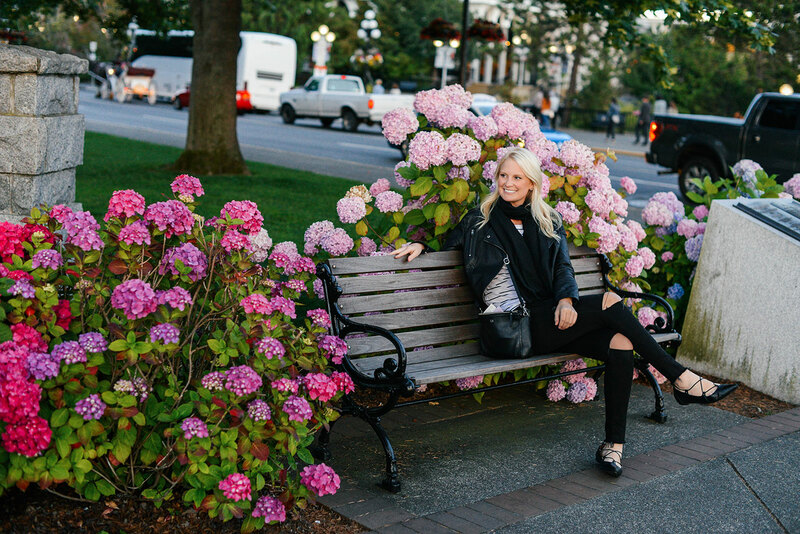 It’s a block down from the Victoria Conference Centre and a 5-minute walk from Beacon Hill Park. Sleek modern suites, an indoor pool, a day spa and a rooftop patio are just a few of the amenities you can expect at The Parkside. If you’ve never had Poutine, the place to eat it is definitely in Canada – it’s a Canadian delicacy after all! I’m making it sound way more fancy than it is, but it is SO FREAKING GOOD. Poutine is basically french fries topped with brown gravy and cheese curds. It’s a salty, indulgent snack that I crave on the reg. Unfortunately I rarely see it on a menu here in Texas! 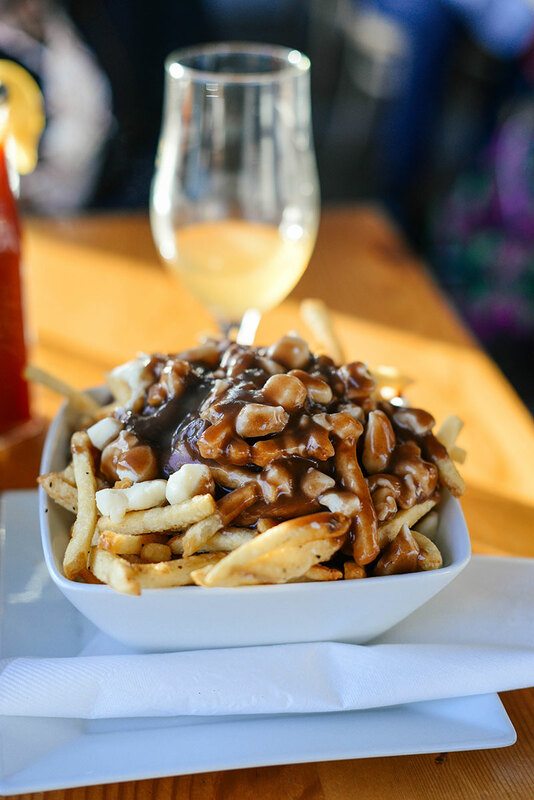 After doing a little Google search before arriving in Victoria, I found this blog that features all the best restaurants to order Poutine in Victoria. 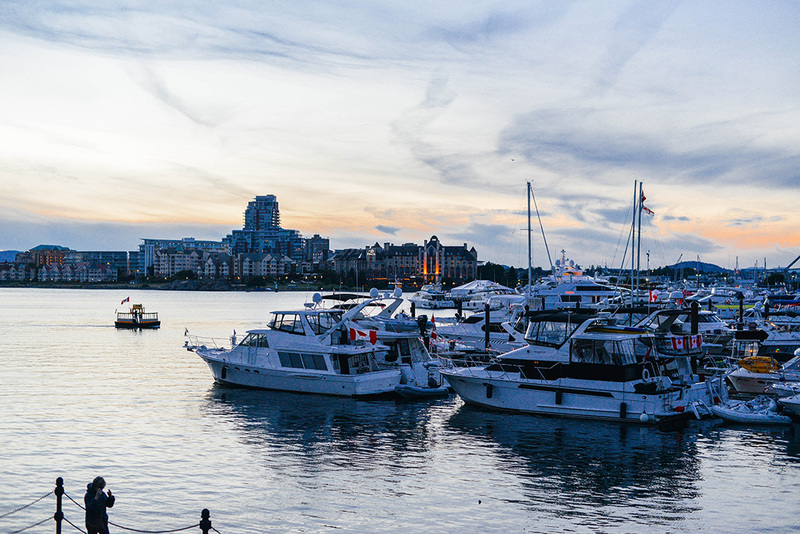 We decided to have dinner at Flying Otter Grill (on the list), which just so happens to be located right on the waterfront across from the Fairmont Empress! In addition to a mouthwatering Poutine, they had an extensive menu featuring everything from salads and steaks to seafood paella and salmon wellington. It was great! OLO Restaurant – this stylish spot features a local, Pacific-Northwest cuisine and an extensive global wine menu. They have a casual tasting menu where you can try all of the kitchen favorites, or you can order a la carte. They also have weekend brunch! Brasserie L’Ecole – for date night and fab French food, try this place! They don’t take reservations, so get there early and put your name on the list! Red Fish Blue Fish – this one is another waterfront eatery and is Zagat rated! Didn’t get a chance to try, but it looks awesome for a casual dinner. For more restaurants, I’d recommend checking Zagat and Eater. The Butchart Gardens – this magical spot is about a 25 minute taxi ride from the center of town, but totally worth the trip if you have time! You can see my photos from the gardens here. Abkhazi Garden – If you don’t have time to trek out to Brentwood Bay to see the Butchart Gardens, the Abkhazi Garden is located in Victoria and free to visit! Fewer tourists know about this spot too, so they’re less likely to be swarmed with other people. Afternoon Tea – Victoria is the certainly the most British of all Canadian cities, and features a number of a spots where you can enjoy a traditional high tea! For a quintessential afternoon tea, make a reservation at the Empress (the hotel listed above). If you are vegetarian or vegan, you head over to Venus Sophia! You’ll love the mismatched antique teacups and bicycles used as decor. 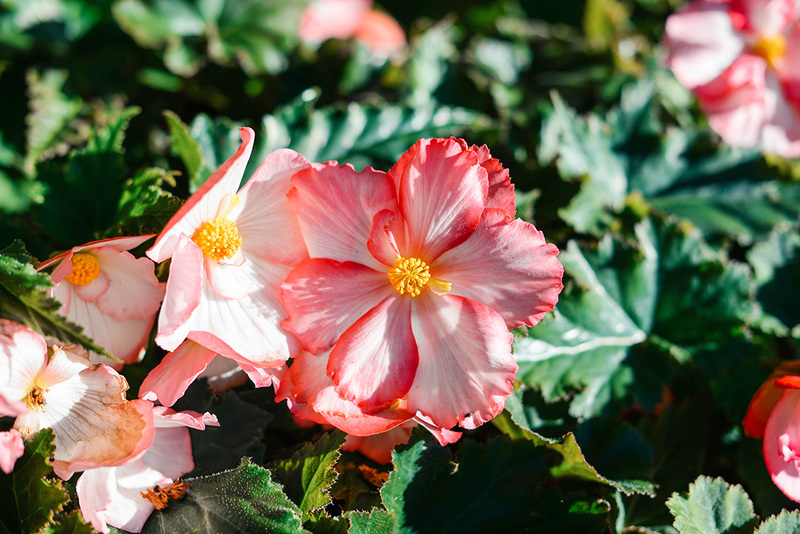 Beacon Hill Park – on a beautiful day, set out for scenic Beacon Hill Park! Take a blank, a book and some sandwiches for a relaxing picnic. Also a great place to go for a run! Fisherman’s Wharf – if you’re looking for a little character, take a little trip down to Fisherman’s Wharf. 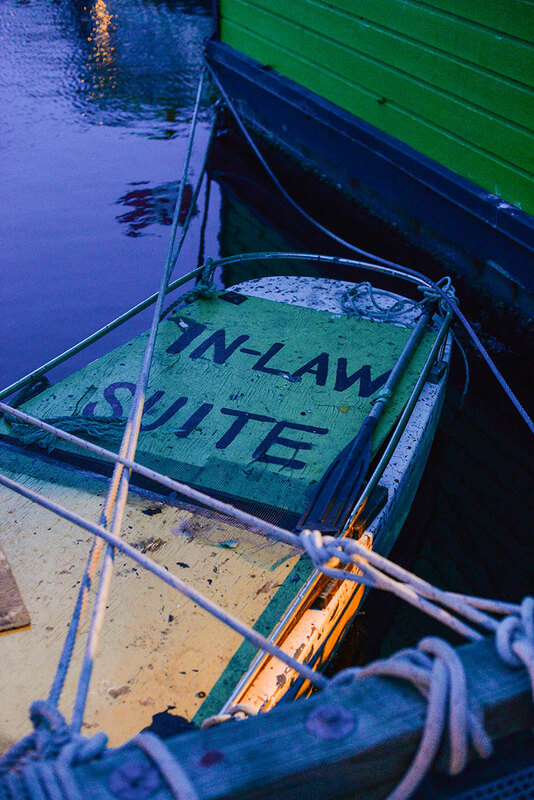 Here you’ll find some adorable, colorful boat houses – some are hilariously decorated, and others make you want to move right in. 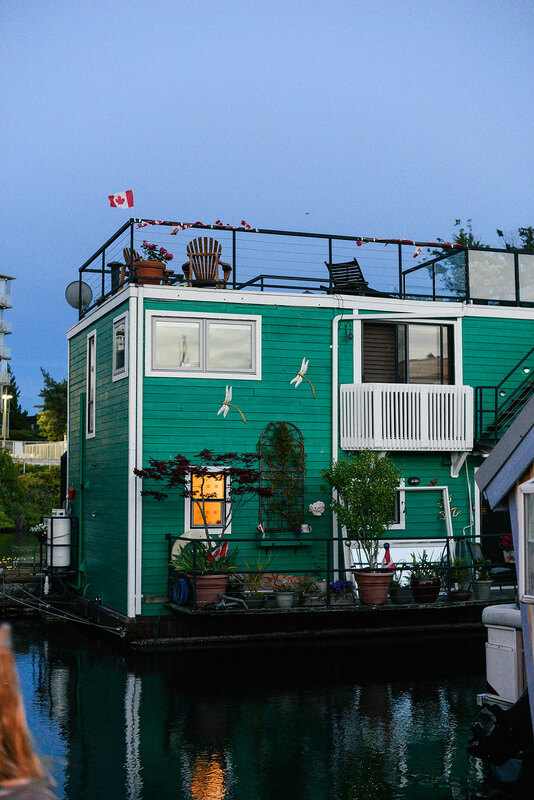 In addition to peeking at these little abodes on the water, there are a couple of restaurants to enjoy! There’s also an ice cream place – unfortunately we missed the boat due to the timing. See what I did there?… so punny. Craigdarroch Castle – this was one of the excursion options from Celebrity Cruises, and I was so tempted by it! The name totally reminds me of the Outlander series (the best!) – anyone else?! Built between 1887 and 1890, it features four floors of stained glass windows, intricate woodwork and Victorian-era furnishing. All this food is making me hungry, yum! What a beautiful city! 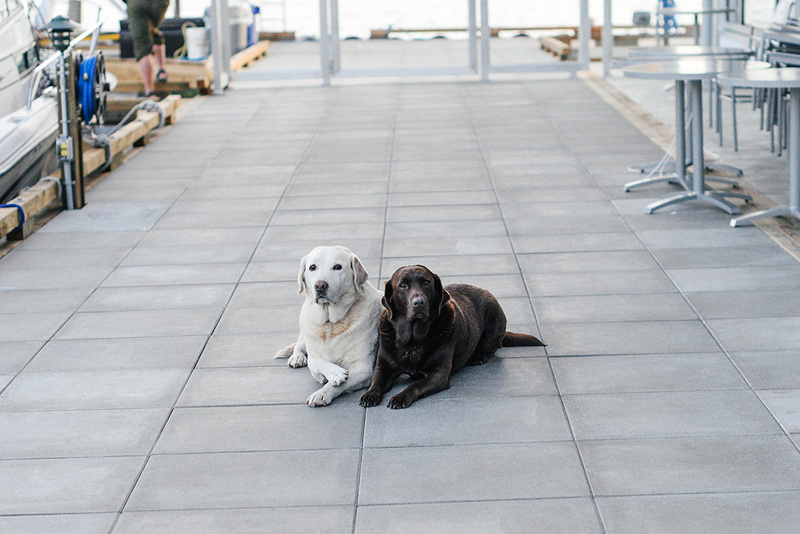 There are no words for how cute those dogs are!